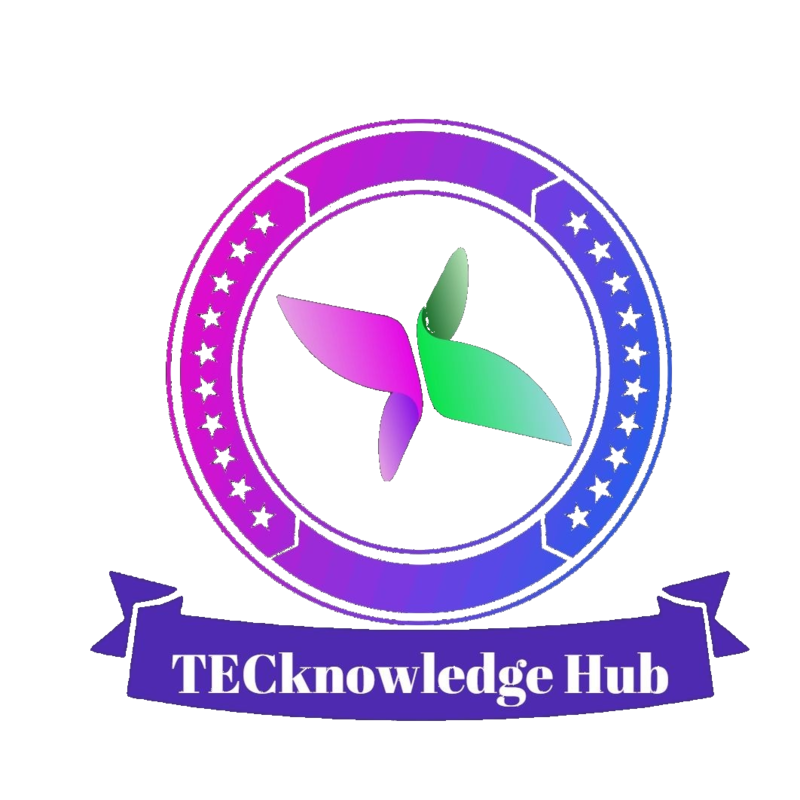 Science and technology have made amazing developments in the design of electronics and machinery using standard materials, which do not have particularly special properties. Imagine some materials have the ability to change shape or size simply by adding a little bit of heat, or to change from a liquid to a solid almost instantly when near a magnet; these materials called smart materials. Smart materials have one or more properties that can be dramatically altered. Most everyday materials have physical properties, which cannot be significantly altered; for example if oil is heated it will become a little thinner, whereas a smart material with variable may turn from a liquid state which flows easily to a solid. Each individual type of smart material has a different property which can be significantly altered, such as viscosity, volume or conductivity. Today, a large number of automobiles manufacturers rely on many different types of the control systems when it comes to the performance optimization. Out of them some are independent, adaptive and some that can fulfill a particular function from the automobile point of view while some of the others are designed with a high level authentic logic. The examples of the type of logical control system used in the automobile are traction control, adaptive cruise control, ABS systems, electronic stability program and many more. These types of systems assist to enhance the ride and handling, safety, driving comfort and most importantly it gives the best driving pleasure. The ride quality, driving pleasure and the driving comfort are directly related with the comfort of the passenger and the driver of what he (driver or the passenger) perceives while the vehicle is in motion. The main issue that hampers the performance of an automobile is due to the most unanticipated cause and that is vibration. The vibrations that originate in an automobile are due to a number of causes some of which are the road unevenness, the aerodynamic forces and the vibrations that are induced due to the engine and the powertrain. Road unevenness are the major causes of the vibration. So, one of the major challenges that is faced by the design engineers is to provide a suspension system that can be useful in all driving conditions. Also, vibration suppression being the key fact in the field of mechanical engineering is to ensure the safety and comfort of the occupants. The most basic goal for the automobiles suspension system is to isolate the respective vehicle from the forces that are transmitted from the external excitation. The major problem due to the mechanical vibration is tackles by placing a spring-type element between the structure and the source of the vibration. This spring-type element is usually in parallel in the dissipative element that consists of a viscous fluid. In these types of elements the damping action is obtained by forcing the viscous fluid through a small orifice and the damping action in this case truly depends on the viscosity of the fluid and also on the geometry of the orifice and the damper. Ever since the first automobile was invented, the manufacturers and the designers have always thought of building a suspension system that can render the high speed performance with the best in class driving comfort. The built in drawbacks of the classical suspension system has stimulated for the examination of the controlled suspension systems, both in active and semi-active mode. Magneto-rheological fluids referred as MR fluids, are the members of the family of fluids whose properties depends on the strength of the electrical or the magnetic field. This family includes the ferro-fluids, electro rheological fluids and also the magneto-rheological fluids. Ferro fluids are mixtures of smaller magnetic particles (smaller than 10nm) suspended in the carrier liquid. This report presents basic properties of the magneto rheological fluids (MR) and their development in recent years. It is very clearly and well understood from the presented paper that replacement of the traditional devices with smart system. Many of them will include MR fluids as active component. A very useful material for the engineers engaged in the design of brakes, dampers, clutches and shock absorbers systems. A magneto- Rheological (MR) fluid brake is a device to transmit torque by the shear force of an MR Fluid. An MR rotary brake has the property that its braking torque changes quickly in response to an external magnetic field strength. In this paper, the design method of the cylindrical MR fluid brake is presented theoretically. Vibration in today's increasingly high-speed vehicles including automobiles severely affects their ride comfort and safety. To improve the ride comfort, effective vibration control of suspension systems implement car suspension system with a MR fluid damper. Magneto- rheological (MR) fluid, which is known as a functional fluid, changes its rheological characteristics upon the application of a magnetic field. The rheological properties of MR fluid are rapidly and reversibly altered when an external magnetic field is applied. The suspended particles in the MR fluid become magnetized and align themselves like chains, with the direction of the magnetic field. The formation of these particle chains restricts the movement of the MR fluid, thereby increasing the yield stress of the fluid. The fluid causes the maximum yield stress of about 50 to 100kPa and responds within milliseconds. The magnetic field dependent shear strength of MR fluid depends on several factors including the size, composition, volume fraction of the particles and the strength of the applied magnetic field . Designs that take advantage of MR fluids are potentially simpler and more reliable than conventional electromechanical devices. Magneto rheological materials fluids (MR) are a class of smart materials whose rheological properties. Are rapidly varied by applying a magnetic field. This change in the material appears as a rapid increase in apparent viscosity or in the development of a semisolid state. Typical magneto rheological fluids are the suspensions of micron sized, magnetizable particles (mainly iron) suspended in an appropriate carrier liquid such as mineral oil, synthetic oil, water or ethylene glycol. Typically, the diameter of the magnetizable particles range from 3 to 5 microns and materials can achieve yield strengths upto50–100kPaatmagnetic field strength of about 150–250 kA/m. 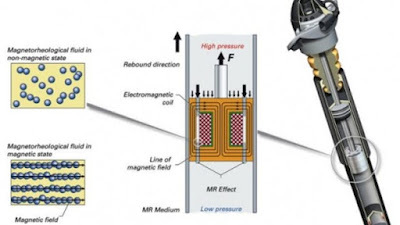 The MR effect is immediately reversible if the magnetic field is reduced or removed. Response times of 6.5 ms MR materials that have been already developed are stable in temperature ranges from -50 to 150°C. The power (50 W) and voltage (12-24V) requirements for MR materials activation are relatively small. The shear stress will increase with the magnetic field. MR Fluid devices have three basic work modes: Valve mode, shear mode and squeeze mode. In the valve mode, the MR Fluid is limited to the middle of the stillness magnetic poles, the pressure difference make the flow, the flow resistance is controlled by the magnetic field, the valve mode devices include, damper (shock absorber). In the shear mode, there is relative motion between the poles, this movement makes the MR Fluid being the shear state, the shear stress could be changed by changing the magnetic field intensity, the shear mode devices include brake and clutch, etc. In the squeeze mode, the direction of the magnetic poles‟ movement is parallel to the magnetic induction line, the status of MR Fluid is alternating stretches and compression, generally speaking, although the displacement of the magnetic poles is small, but that could produce big resistance, it is usually used as vibration damper. In the pre-yield regime, the fluid behaves like an elastic solid due to the chain-like structures stretching along the length with some of fractures in it while in the case of the post-yield regime, their exists an equilibrium where the chain fractures and the chain formations behave like a viscous Newtonian fluid. Owing to the exceptional behavior of the MR fluids, it has been used in large number of applications such as: rotary brakes, clutches, prosthetic devices, polishing & grinding devices and many more. Amid them, the MR fluid dampers are semi active control devices that are used many industrial applications today. A characteristic damper includes the MR fluid, a housing, a piston, a magnetic coil, an accumulator and some pair of wire . the MR fluid is composed in the cylinder and flows through a small orifice. The piston or the housing are in built with the magnetic coils. Depending on the current applied, the controlling damping force is produced. Also, as per the research conducted by Carlson J. D and Weiss K. D, a high reliability operation can be obtained from these devices and their function remains almost uninterrupted due to the temperature fluctuations or due to any impurities in the fluid. Nevertheless, the considerable drawback that hampers the MR fluid damper is it’s non-linear characteristic which involves force vs displacement and the hysteresis force vs the velocity. So, creating the MR fluid damper with the maximum efficiency is a major challenge, especially when it is concerned to make an accurate model to take the full advantage of this special device and further to design a the most efficient algorithm that in turn improves the system performance. The base fluid is an inert or non-magnetic carrier fluid in which the metal particles are suspended. The base fluid should have natural lubrication and damping features. For better implementation of MRF technology the base fluid should have a low viscosity and it should not vary with temperature. This is necessary so that MRF effect i.e. variation of viscosity due to magnetic field becomes dominant as compared to the natural viscosity variation. Due to the presence of suspended particles base fluid becomes thicker. Commonly used base fluids are Hydrocarbon oils, mineral oils and Silicon oils. It is necessary to add certain additives to MR fluid for controlling its properties. These additives include stabilizers and surfactants. Surfactants serve to decrease the rate of settling of the metal particles. While the functions of additives are to control the viscosity of the fluid, maintain friction between the metal particles and to reduce the rate of thickening of the fluid due to long term use of the fluid thus additives also increase the life of the MR fluid. Commonly used additives are ferrous oleate and lithium stearate. All the three components of an MR fluid define its magneto rheological behavior. Changing any one component will result in change in the Rheological and Magneto rheological properties of the MR fluid. An optimum combination of all the three components is necessary to achieve the desirable properties of an MR fluid. 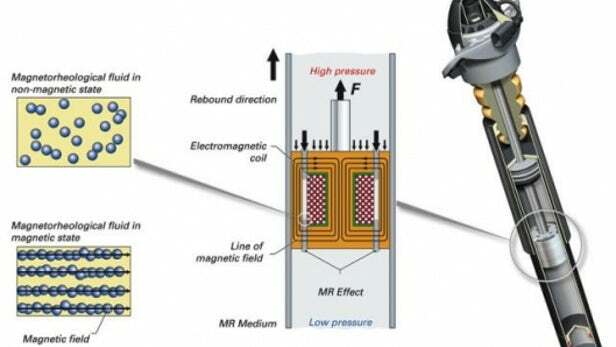 The MR fluid is a smart fluid whose properties can be controlled in the presence of magnetic field. In the absence of magnetic field, the rheological properties of the MR fluid are similar to that of base fluid except that it is slightly thicker due to the presence of metal particles. A typical MR fluid consists of 20%–40% by volume of relatively pure, soft iron particles, typically 3–5 microns, suspended in a carrier liquid such as mineral oil, synthetic oil, water, or glycol. A variety of proprietary additives similar to those found in commercial lubricants are commonly added to discourage gravitational settling and promote particle suspension, enhance lubricity, modify viscosity, and inhibit wear. MR fluids made from iron particles exhibit maximum yield strengths of 30–90 KPa for applied magnetic fields of 150–250 kA/m. MR fluids are not highly sensitive to moisture or other contaminants that might be encountered during manufacture and use. Further, because the magnetic polarization mechanism is not affected by the surface chemistry of surfactants and additives, it is a relatively straightforward matter to stabilize MR fluids against particle-liquid separation in spite of the large density mismatch. The ultimate strength of the MR fluid depends on the square of the saturation magnetization of the suspended particles. WHAT MAKES A GOOD MR FLUID? The most common response to the question of what makes a good MR fluid is likely to be "high yield strength" or "non-settling". However, those particular features are perhaps not the most critical when it comes to ultimate success of a magneto rheological fluid. The most challenging barriers to the successful commercialization of MR fluids and devices have actually been less academic concerns. MR FLUID AS ROBOT BLOOD. Magneto rheological dampers of various applications have been and continue to be developed. These dampers are mainly used in heavy industry with applications such as heavy motor damping, operator seat/cab damping in construction vehicles, and more. Seating equipped with MR dampers is the only product that offers both safety and health benefits for drivers. Unlike standard air suspended seats, which compromise shock and vibration control, the MR technology is the only solution that automatically adapts to both the drivers body weight and continually changing levels of shock and road vibration, improving driver responsiveness and control while reducing fatigue and risk of injury. MR-based suspension systems use the fluid in specially designed dampers, which take the place of standard dampers (shock absorbers). If the shock absorbers of a vehicle's suspension are filled with magneto rheological fluid instead of plain oil, and the whole device surrounded with an electromagnet, the viscosity of the fluid, and hence the amount of damping provided by the shock absorber, can be varied depending on driver preference or the weight being carried by the vehicle - or it may be dynamically varied in order to provide stability control. 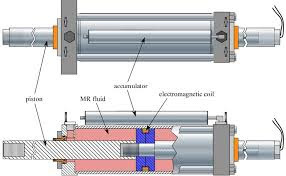 One of the deliverables of the development for the Magneto rheological shock absorber was a direct comparison between the MR damper and a conventional hydraulic damper. This second shock absorber was also used to test the principal of replacing the conventional coil-spring with a gas-spring. A conventional shock absorber unit was designed with a conventional hydraulic damper unit. The unit flows all of the fluid through the damping valves which allows for much larger valves than is common in piston ported dampers. This in turn reduces fluid shear and improves damping response. The flow path was kept was long and very turbulent so the shock absorber is not sensitive to fluid viscosity temperature changes. The MR fluid damper contains MR fluid, bearing & seal, annular orifice, coil, diaphragm and accumulator. For accumulator, there is nitrogen gas with pressure 20-bar acting on the damper. The diaphragm is used to separate the nitrogen and the MR fluid. Also, the coil produces the electromagnetic field by the current passing through it. The annular orifice allows the MR fluid passing up and down. And also, the bearing & seal is used to prevent the friction. The MR fluid valves and associated magnetic circuit are fully contained within the piston. These magnetically controlled valves regulated the flow of MR fluid within the damper. Current is carried to the electromagnetic coil via the leads through the hollow shaft. When the current through the valves the MR fluid will change the state into solid. Then the damping force will increase. By changing the current, the damping force can be changed so that the damping can be controlled. MR FLUID IN SEAT SUSPENSIONS. Mainly used in heavy in heavy industries with application such as heavy motor damping, operator seat/cab damping in construction vehicles. Seating equipped with MR dampers is the only product that offers both safety and health benefits for drivers. Unlike standard air suspended seats, which compromise shock and vibration control, the MR technology is the only solution that automatically adapts to both the driver’s body weight and continually changing levels of shock and road vibration, improving driver responsiveness and control while reducing fatigue and risk of injury. MR FLUID IN WASHING MACHINES. A good example of unwanted vibratory motion is a washing machine in its spin cycle trying to walk out of the room. MR damping can correct this and other problem vibrations. Washing machine represents a standard compromise between controlling vibration associated with the spin cycle and achieving optimum system performance and efficiency. Magneto rheological dampers are utilized in semi-active human prosthetic legs. Much like those used in military and commercial helicopters, a damper in the prosthetic leg decreases the shock delivered to the patient’s leg when jumping, for example. This results in an increased mobility and agility for the patient. · The damping system uses onboard electronics. · No additional operator control is required. · MR provides real-time controllability. · Additional electronic controls are easily adaptable to the existing machine’s electronics footprint. · High density, due to presence of iron makes them heavy. · High quality fluids are expensive. 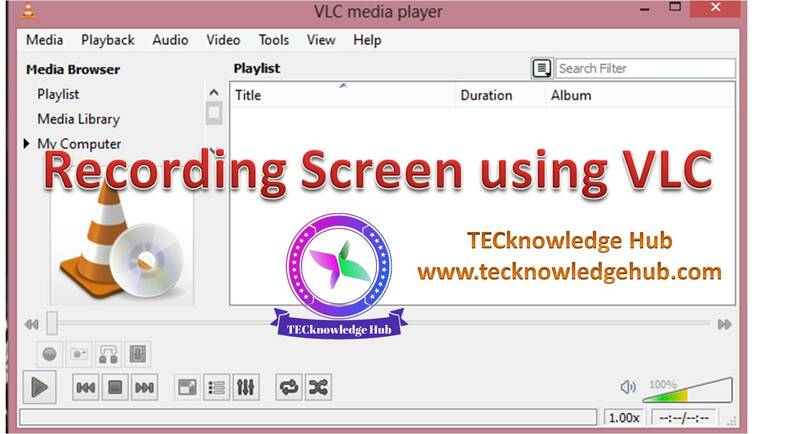 · Fluids are subjected to thickening after prolonged use and need replacing. · Settling of Ferro-particles can be a problem for some application. MR fluids can be considered as a better way of controlling vibrations. Magneto rheological fluids are actually amazing magnetic fluids. MR fluid durability and life have been found to be more significant barriers to commercial success than yield strength or stability. Amenability of a particular MR fluid formulation to being scaled to volume production must also be considered. Challenges for future MR fluid development are fluids that operate in the high shear regime of 104 to 106 sec-1. The key to success in all of these implementations is the ability of MR fluid to rapidly change its rheological properties upon exposure to an applied magnetic field. The study of MR fluid flow behavior through, two parallel plates or circular duct of MR damper and experimentation has carried out synthesis as well as characterization of MR fluid. It conclude that, damping force and damper displacement for Newtonian flow is linear, and non linear for non Newtonian fluid. The magnetic design of MR damper, magnetic field pass through fluid is saturation at certain limit. In shear mode, damping coefficient was linear function of Bingham number, whereas in flow and mixed mode dampers, damping coefficient was simple function of plug thickness. The non dimensional damping coefficient is proportional to a ratio of the Bingham number and the non dimensional plug thickness. In optimization of MR damper structurally there are two functions, one is damping force and other is maximum magnetic flux density. The magnetic flux density depends upon current flow through coil, it conclude that at certain limit of current variation, the magnetic saturation are performed.